Keto Cake Recipe - Cinnamon and Nutmeg - Moist & Sweet! 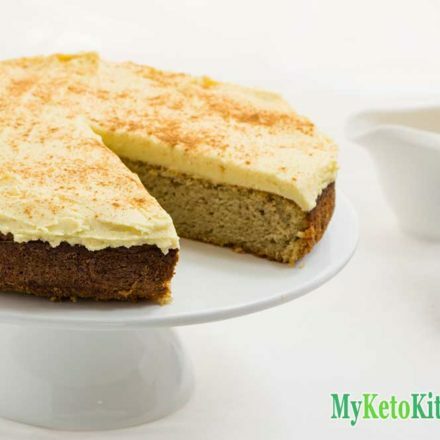 Home » Recipes » Keto Cake Recipe – Cinnamon and Nutmeg – Moist & Sweet! 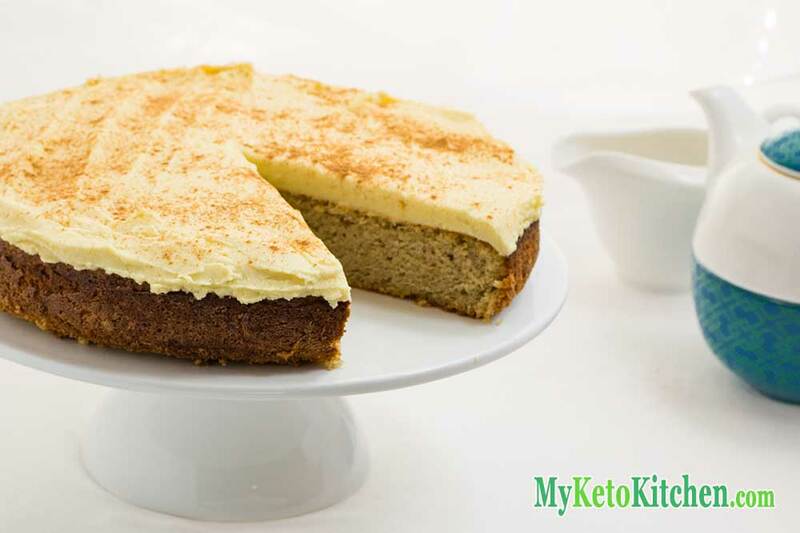 Our cinnamon keto cake is perfect for that tea party or special occasion. Baked with a delicious aroma of cinnamon and nutmeg, the scent lingers for hours. This keto cake recipe is moist, subtly sweet and spiced, great with and without frosting. It doesn’t take long to bake and keeps for up to 1 week in the fridge. You can even freeze the whole un-frosted spice cake for up to 3 months. 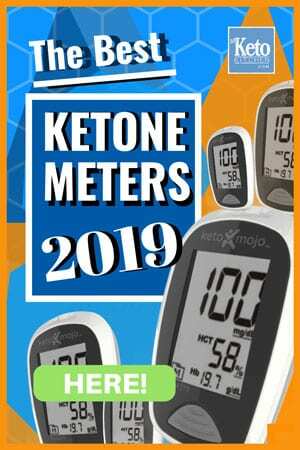 The keto cake makes 14 serves. Cut the cake in half and each half into seven even slices. If you struggle with cutting the slices the same size, grab one of these handy Cake Portion Markers, this one marks 14 slices on one side and 16 slices on the other. Add the coconut flour, almond flour and eggs. Mix on low speed to combine the flours and eggs. Scrape down the mixing bowl, then mix on medium for 2-3 minutes until all ingredients are well combined. Add the cinnamon and heavy cream, mix for another 2 minutes. More desserts you say? Don’t mind if we do, Low Carb Custard Tart, maybe a little Key Lime Pie, or our Chocolate Coconut Cheesecakes. 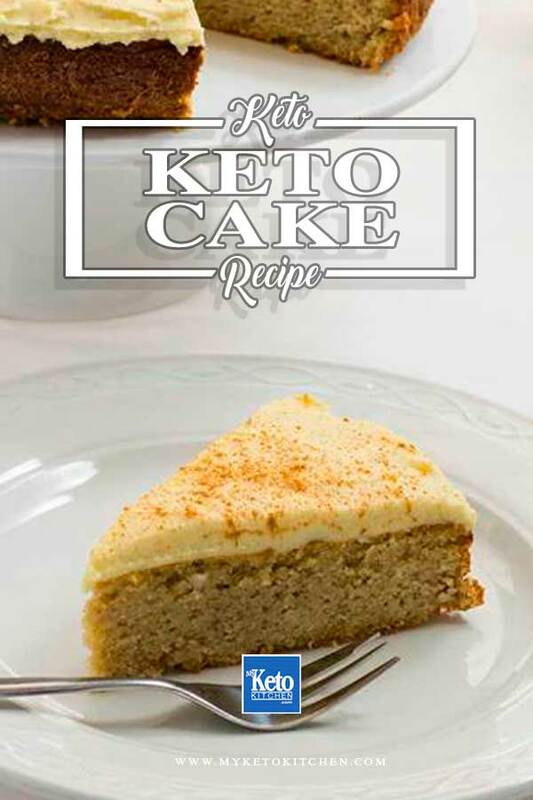 To make a larger batch of this Keto Cake recipe with Cream Cheese Frosting adjust the servings above. Yes the un-frosted cake freezes very well. What can you use in place of this Natvia and Natvia Icing mix. It is very expensive and you have to order it from Amazon and pay shipping. Do you know what the nutritional facts are? Thank you for this delicious recipe! I made it today and it turned out wonderfully. How much frosting does this make? Would it be possible to bake this in two 7-inch cake tins to make a layer cake, and then frost the middle and the top? Thanks! 🙂 I will be making this over Christmas! The frosting on the cake is quite thick, I think it would be a good amount to ice 2 layers of a smaller cake. If in doubt, you could always make a little extra icing or top it off with fresh whipped cream. I hope that helps. What size eggs did you use? Medium or large? Thanks, can’t wait to make this. This cake is delicious. Used heaped teaspoon mixed spice instead of ginger ,cloves etc and heaped teaspoon cinnamon. Swapped Natvia with xylitol. Didn’t affect my blood sugar (I have Type 1 diabetes). Will definitely make again. I made this today omg the delish smell coming from my kitchen. It turned out great i will be making this recipie again for sure. Thanks for another great recipie. To my surprise this came out much better than I was expecting. I took one reviewer’s advice and used pumpkin spice mix instead of individual spices and it worked well. Cake was a bit dense but I still enjoyed it. Will definitely make it again.